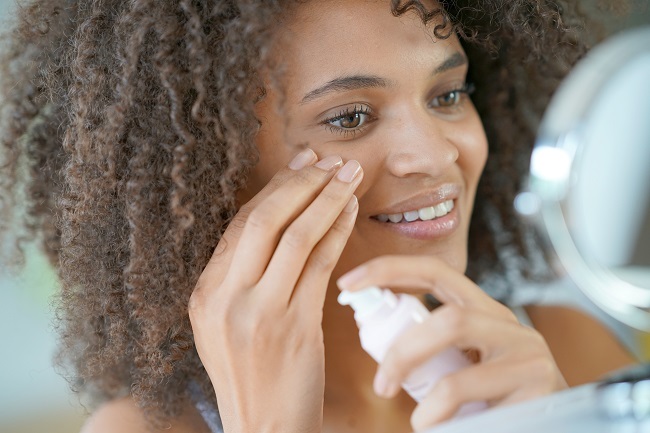 Caring for your skin can become complicated if you have sensitive skin or known allergic reactions to skincare products. Over the past several years, the term “hypoallergenic” has shown up on more skincare products from makeup to sunscreen to moisturizer. The term is meant to show the product will be gentler on your skin and be better for sensitive skin, but it is possible to still be allergic to the ingredients. The reaction often leads to confusion as the hypoallergenic designation makes the user think that the product couldn’t possibly be responsible for the rash or other problems that have appeared. Hypo- means below, lower, or less than when used as a prefix. When attached to the term allergenic, it essentially means less likely to cause an allergy, or less likely to be allergenic. It does not mean that it will not cause an allergy at all. So, using a hypoallergenic product means that you are using something that is less likely to contain ingredients that will set off an unknown skin allergy. Obviously, this is good for most people with sensitive skin. Unfortunately for some, they may still turn out to be allergic to that gentle ingredient. And for others, an allergy to the ingredient could form later on, as it is possible to develop allergies to ingredients you’ve used successfully in the past. It is possible that the symptoms of the allergy could be delayed. This means that if you use the product one day, you might not see the rash or hives appear for another couple of days, which is frustrating beyond belief when you’re trying to track down the culprit. If you have sensitive skin, you may want to pamper it a little more at Shelley’s Day Spa & Salon. Our clinicians offer facials and other skincare treatments that suit your skin type and that are formulated to avoid irritation. Skincare should leave you feeling refreshed, and a day at a spa is a perfect way to make yourself feel revitalized.